Discussion in 'Online Casino Promotions' started by Ellis, Nov 9, 2015. This Week Lucky Dino Casino has two wonderful promotions for their new and existing real money players. Wednesday November 11 2015: On Wednesday they are going to release a New Slot Game from Net Entertainment called King of Slots. If you make a real money deposit during that day, you will receive 10 Free Spins No deposit! This offer is available for new and old players. Of Slots and if you deposit €50 you get 25 Free Spins! 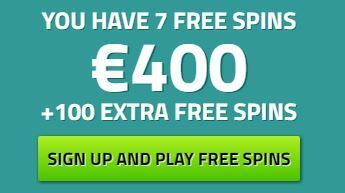 If you deposit €100 or more you get whopping 75 Free Spins! This offer is also available for all players. I really can wait any longer to try out the new King Of Slots! If you are new player you'll get 7 Free Spins on the Starburst Online Slot without making a deposit!